The mountains are calling! Explore more mountains than any mountaineer! 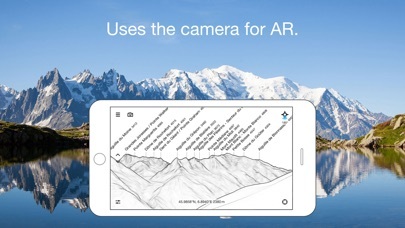 PeakFinder AR makes it possible… and shows the names of all mountains and peaks with a 360° panorama display. 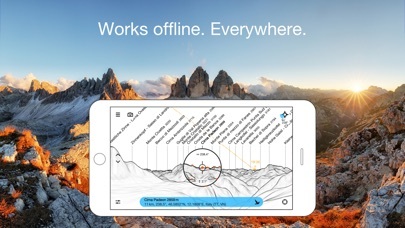 This functions completely offline - and worldwide! 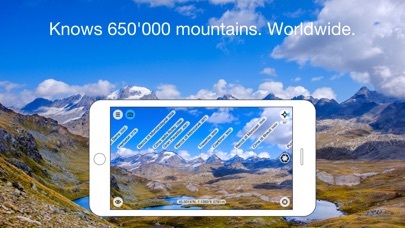 PeakFinder knows more than 650'000 peaks - from Mount Everest to the little hill around the corner. ••••••••• Winner of several prizes like 'Best of AppStore', 'App of the Week', … Highly recommended by macnewsworld.com, nationalgeographic.com, smokinapps.com, outdoor-magazin.com, themetaq.com, digital-geography.com, … ••••••••• ••• Features ••• • Works offline and worldwide • Includes more than 650'000 peak names • Overlays the camera image with the panorama drawing • Realtime rendering of the surrounding landscapes in a range of 300km/200mil • Digital telescope to select less prominent peaks • 'Show me'-function for visible peaks • Selection of the viewpoint by GPS, the peak directory or an (online) map • Can fly like a bird from peak to peak and vertically upwards • Shows the solar and lunar orbit with rise and set times • Uses compass and motion sensors • Daily updates of the peak directory ••• Ratings ••• Every good rating (including those following updates) makes me happy. The positive ratings and reviews make it possible for me to continue to improve the app for you. Many thanks! ••• Support ••• In case of questions, problems, mistakes, missing mountain names and ideas for future expansion, I am happy to help you. Please write to support@peakfinder.org. Don’t head for the hills without it! I started using an app by this developer back in 2014 and it his continuously updated over the years. It is one of my favorites! I live in Nevada where I am surrounded by mountains. 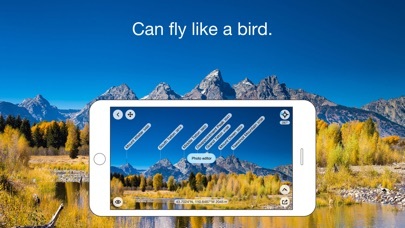 This app makes it easy to know what peaks I’m looking at. I love it! 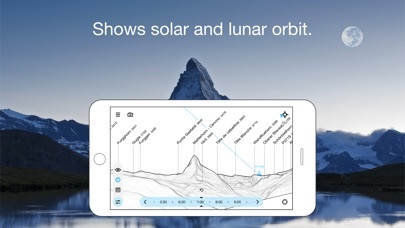 This is way cool, all my trailrunner friends are impressed, and the app is so flexible where you can make adjustments to the scene to match up the correct peaks. Big thumbs up! Failed on many landmark features around Sedona, Arizona. Thought this would be right in the app’s sweet spot, but no. I bought this and tried multiple times to set it up but every time got an error message. Checked WiFi connection to make sure it was working and it was.